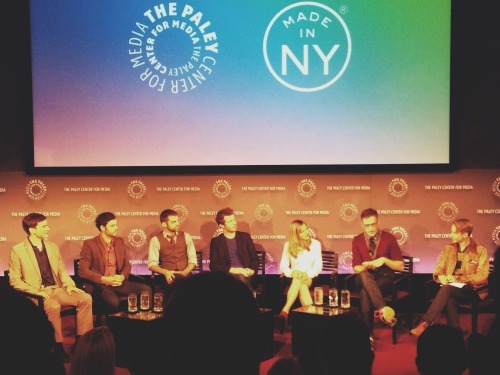 Back in October my boyfriend dragged a very sick Brandon to The Paley Center for an event we were both very excited for: An interview of the cast and crew of The Outs. Above is a clip from the event where you can catch a glimpse (twice!) of me and my boyfriend’s arm (we’re way too excited about this). Since we are such huge fans of the web series (we did create a tour of the shooting locations used), sitting so close to the people responsible for our new favorite show was an amazing experience. Having a background in film, I was very pleased to learn more about the co-writers Adam Goldman and Sasha Winters and just how their Kickstarter project turned into a household name (at least in the GLBT community). What really resonated with me that night was Tommy Heleringer’s comments on his journey as an actor. Apparently he had decided to quit acting before getting a role on The Outs, and having seemingly failed at his dream he was in a bad place. I know how it feels to feel lost on your career path, but also how things can change quickly and unexpectedly. Since Tommy’s character, Paul “Scruffy,” is one of my favorite characters from the series, my heart went out to him and was glad for his success from the show. While the spotlight was obviously on the cast and crew, it was really interesting to hear from John Cameron Mitchell, who moderated the evening. He is the director of Shortbus and the writer of Hedwig and the Angry Inch (which my boyfriend and I are planning to see later this year). 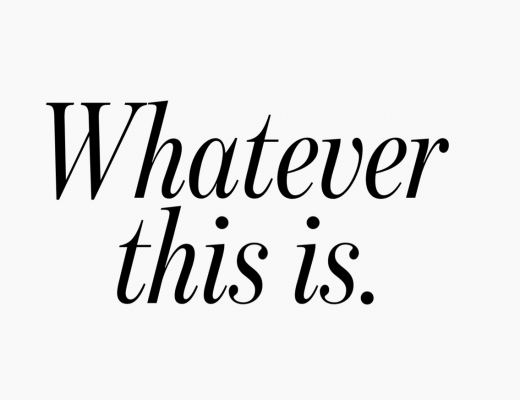 After the interview the third episode of the team’s new series, Whatever This Is, was screened. The event was very enjoyable, and I look forward to attending future NYC events by The Paley Center. And while my boyfriend and I stayed afterwards for a good 15 minutes to try and work up the courage to talk to any of the members of the cast and crew, we decided we would be cowardly lions instead. Oh well, there’s always next time!